It has become a usual practice to backup computer data as everyone here hates losing data. Even though, it may not be critical, it’s a painful experience. While losing data, all you want to do is to recover as much data as possible. Fortunately, there are many data recovery software in the market that can solve your problem. You can easily recollect your entire lost data with a click if you have the right data recovery software. But finding one is like finding a needle in a haystack. 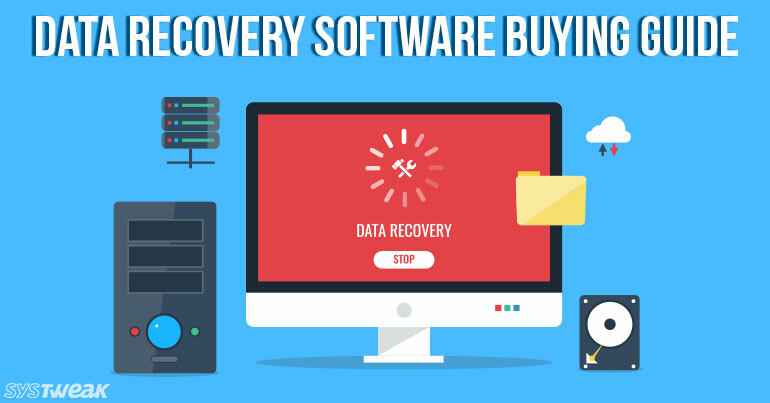 Moreover, with so much features inlined in every data recovery product, it’s difficult to remember the basics of buying data recovery software for our computer. This article highlights on few basic questions that you should find answers to before buying the software. Which operating system will be used for data recovery? What type of storage device contained the lost data? What is the filesystem of the lost data? What features do you need in a data recovery software? How Did You Lose Your Data? Data can be lost due to several reasons. It could be due to malware, virus, due to some incorrect operations that led to loss of important data etc. Sudden PC halts, damaged or corrupted files and system crashes can also cause data loss. A good data recovery software can recover your data in almost all conditions. A good data recovery program accesses various corrupted areas in the hard drive that are inaccessible at normal conditions. It recovers data from different types of devices like solid state drives, storage tapes, CDs, DVDs, RAID, USB flash drives, internal and external hard disks etc. A good data recovery application works in both cases where data has been lost due to physical damage or data cannot be accessed because of logical damage like unable to mount on host. A data recovery software also recovers data even if sectors of the hard drive are damaged. It can recover files like images, videos, music files, documents and emails. The software looks for fragments of data inside the hard drive. Further, it tries to fix those fragments and transform them into an original file it was before. Last but not the least, a good data recovery program should be user-friendly and easy to install. Recovering lost files is important and we should choose our software wisely according to our requirements. Hope this article helps you find the best software to recover your data.